X1Glider wrote: 2. What other company does pick your top Tuesday"? What other company offers semi-custom builds with the vast array of choices in wood, paint and electrical combinations and can do it in a very timely fashion for a pretty darn good price? No one I know of. This exists. I kid u not. Doctor Turn wrote: Well--you know, it's interesting, the history of this company and Mark in particular. In the 70's, Mark was the son who went off on his own and became an engineer, didn't work for his pop. It was Gavin and Carson who did. Thus CARson gaVIN. Company was hitting against the pricks of a tough industry being undercut by cheap Asian knockoffs (which knocked a good number of companies for a loop), and Carvin didn't have much brand recognition going for itself at that point in the first place. Not to mention the unusual direct biz model kept them out of stores and industrial recognition. Mark was brought into the company, revitalized their guitar and pickup lines, used his engineering skills to start putting together their own necks and gluing them in instead of bolting them on (even for LP style guitars). His arrival and fresh ideas coincided with the first real golden age of the company with those amazing set neck--then later thru necks--guitars with the incredible M22 pup line. That combined with the X amp line rocketed the company into the big time. So--sometimes it's the boy who went out into the world to make his bones on his own.. and then comes back to the ol homestead.. who is the one who turns things around. Mark, out of all the boys, is still going strong to this day, whereas the rest has withered off the vine. Take from that what you will. I have no dogs in this discussion. I could understand the "huh?" questions, but I also don't see it as nepotism, really. I just think it's a way of having the boy say "Hi" as the possible next generation of the Kiesels that make up KIESEL. That is a very balanced and interesting perspective and I kinda wanna say thank you for posting it. Not that you are ever shy about posting your perspective. This kinda sounds like how Will Smith kept on putting his son Jaden in movies and the world wasn't having it. I don't think anyone is bashing Jeff, his son, or Kiesel. We're intelligent human beings. We recognize a gimmick when we see it and we're pointing it out. If we had seen some inkling of talent from the son then I can understand lining up to get a personalized 'Picasso'. Otherwise, I don't see the appeal unless you're a "Jeffanatic". This is something for their family and friends to celebrate and be proud of. The rest of us? Meh. I'm a fan of guitars. I'm a fan of Kiesel. I'm not a fan of the family. Does that make sense? I'm not saying I hate/dislike or anything like that. I'm simply not falling into a Kardashian type cult of personality. I don't care whether Jeff makes the best drinks in the world, drives the fastest cars, etc...I'm interested in guitars. That's it. Agreed. Learning any discipline helps in another. It gives you a fresh perspective, one that perhaps an insular organization may not have. I think maybe some people are looking at this the wrong way. It's not about Zak being some nicolas cage of guitar building. It's not about feeding Jeff's ego (for the record, he seems like a fun dude imo). For the Kiesels, it's a dad wanting to have a cool project to do with his kid before he goes off to college (an opportunity I wish I'd had with my dad). For us? 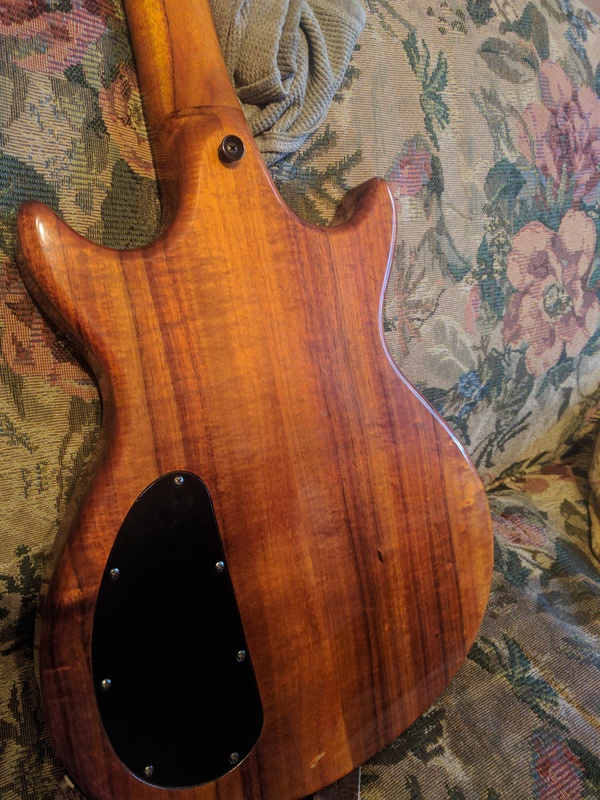 Cool guitars for less money (Unexploded Cow mentioned $500 being the standard price for a cocobolo neck), with some funky finishes and maybe a cool story to go with it. The factory is pretty well CNC'd as far as I can tell, and Jeff's probably gonna be keeping an eye on them. Let them have some fun and enjoy what could (depending on your specs) be OVER A GRAND in FREE, INCLUDED OPTIONS. FREE. OPTIONS. Seriously, just let the kid paint your guitar and get free stuff. Don't knock a discount. FYI, not trying to attack anyone here, just like, don't we all ask for more things for less money all the time? This is it, guys. HarlowTheFish wrote: I think maybe some people are looking at this the wrong way. The announcement states savings could equal $315.00 depending on options--- so we're far away from a grand in savings. It's still a pretty good savings if what you want is in the ballpark of what's offered but for me none of the option choices are in regarding paint and pickup options. For me a guitar nearing 2k with a swamp ash body really needs a trans color and for pickups I'd want the s60s with a Jeff howe Parallax in HSS. I got my grand by going down the list and adding stuff up with prices either from the builder or that I'd seen in the forum quoted by other members. Not $1000 off, either, but rather a potential $1000 in options included in the base price of the run. Ah the internets, the place of opinion, it is a guitar run, buy one or not, no need for negativity . Marketing is a necessary evil, it is one thing that will never please everyone, for a company marketing is always riding the knifes edge . As for catalogs, gee whiz, people still want those, to each their own I say but remember a catalogue’s reach is limited by the number of print, conversely, the media that is social is limitless. Lastly, hard case vs soft case, oh the mind boggles, I must say that my granddad would tell me that you get what you are given son, he lived in a time very much harder than ours, I am happy with either case, as long as I get a case. my 2c, enjoy your time. Samwise wrote: Ah the internets, the place of opinion, it is a guitar run, buy one or not, no need for negativity . Samwise wrote: no need for negativity . Well I am the one who started this. But it was never meant to be negative. And I do not think it has been. Perhaps It is because it is his son, people are getting sensitive. I should have worded it some thing like ,"Does a guitar signed by anyone at Kiesel have significance to you?" Heck, for illistration lets take it out of here so it cant offend and ask would it matter to you if Seymour Duncan signed your pickup. This is the question I was asking. Nothing more. Most answers were just that. The grandpa advise is good for free stuff and the government. And I will take what I get when given. But when I am paying for something I get what I want if it is available. That is the free market. Lucky for them I like the soft case. I seriously doubt Zak is doing all of these unsupervised and all willy nilly. Still....when you're dropping 2-3K on these custom runs....do you really want to hear that a newb (sorry, he's a newb any way you look at it) is exclusively doing your finish (which again, he probably isn't)? Still....if it comes out looking spectacular - that's all that matters. OotMagroot wrote: IStill....when you're dropping 2-3K on these custom runs....do you really want to hear that a newb (sorry, he's a newb any way you look at it) is exclusively doing your finish (which again, he probably isn't)? Actually, yes, I do....and with good reason - experience. I had finally put all my thriftiness aside, got off the pot, jumped in with both feet, and ordered my idealized Kiesel which of course was a no-return build. When it showed up, it had been finished by the newly-hired painter and had a 'sharpie burst', something no one had seen from Carvin or Kiesel previously. It was just perfectly awful coincidental timing but it was not a good look and not what we had come to expect. Another of mine from the same time frame came in with essentially the wrong color (though I loved it anyway). So yeah, I DO want to hear that a newb will be finishing my guitar! These types of experiences are exactly what we should hear anyway. Both good and bad are needed. Sadly, Guit, you managed to get a couple that were wrong. Speaking of all that, your recent build is coming up in age, or has it already arrived? Will the run be non returnable? gumbynotpokey wrote: Will the run be non returnable? They usually are, to keep people from impulse buying and taking up slots in the Run, to then have to take the guitars back that were sold at a much lower profit margin to begin with. See.... I don't get that. In my hands, the LP double cut has flawless high fret access due to the fact that the neck keeps it shape much higher up the neck than the other examples. And the body sides stay completely free of the fretboard rather than curving back around like most double cuts. The Carvin CT has a similar thing going for it, and in my opinion has the least noticeable heel of any guitar I've played. Yet they found the need to improve on it with the Crescent's set-thru construction. Maybe I have weird hands. PRS screws it up by leaving the neck boxy and square from the 19th fret up, but Gibson somehow had it right from the start. The old school Carvin sculpted heel doesn't look that bad, but for the fact that it's thicker for a good chunk of fretspace up there, I can't see how it could possibly be more comfortable than the Gibson DC/Carvin CT style. Maybe I have weird hands. "we did lower the price to 1799.00"
OotMagroot wrote: I seriously doubt Zak is doing all of these unsupervised and all willy nilly. Still....when you're dropping 2-3K on these custom runs....do you really want to hear that a newb (sorry, he's a newb any way you look at it) is exclusively doing your finish (which again, he probably isn't)? Still....if it comes out looking spectacular - that's all that matters. When i was looking at the color options the first thing that popped in my mind was 'those are colors you'd expect from someone just beginning to learn finishes." Nothing fancy. no trans. No bursts...etc. And then you look at the woods...one piece ash, coco boards, back plates....to me the finishes go better with an economy build---someone with not a lot of bucks is going to choose solid default colors...but they are also going to choose alder/maple. and bare bones hardware for a budget build. this run then seems a bit of a mismatch---given the paint options I'd expect a budget build throughout----it's what threw me off...there's nothing budget about a starting price of $1899. 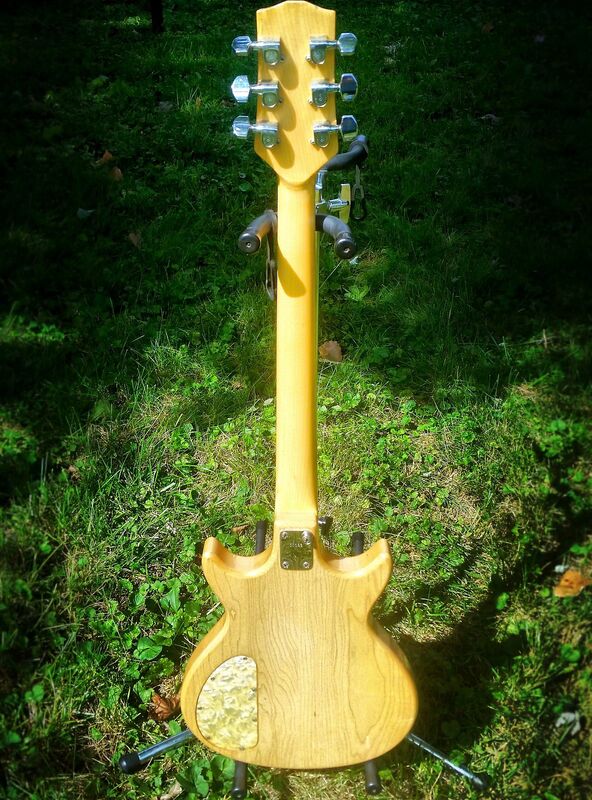 If I'm going out for those exotic woods I'd want an exotic finish as well. But that may just be my personal tastes. Price dropped to $1799, to make sure it's actually at least $315 savings once you'd factor in a "normal" build's $100 in free options.